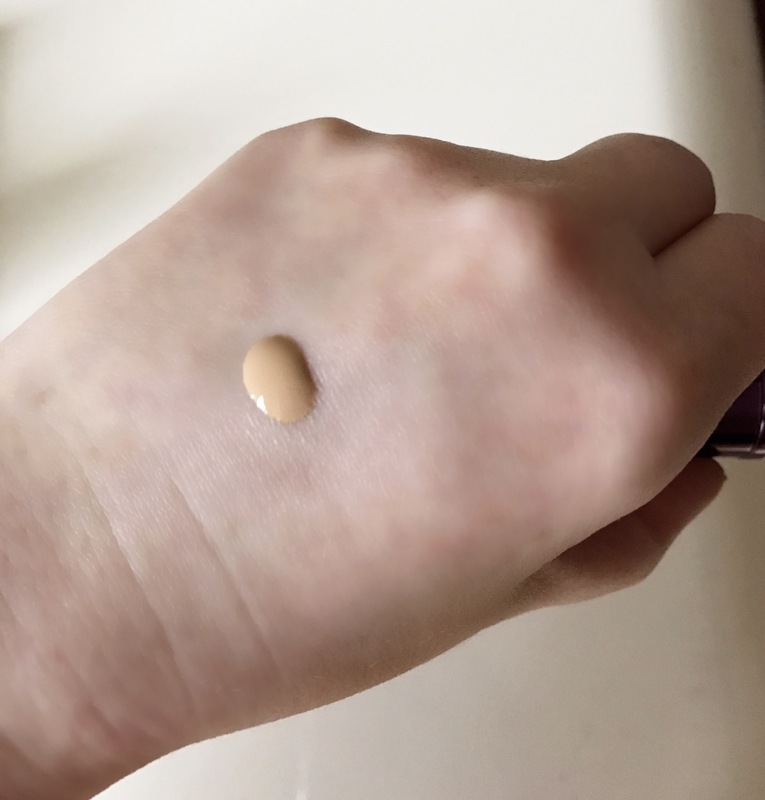 This foundation is my first dip into the Tarte family and its probably one of the best foundations I’ve tried in so many ways dolly’s It comes in 12 colours in a frosted glass bottle so you will get every last drop out. The dropper dispenses the correct amount onto your skin. Whilst it’s a water based formula it’s not too runny. It gave me a medium coverage with a beautiful glowy finish which could be built up to full coverage if you wish. It didn’t sit in any fine lines which makes it a lovely foundation for over 30’s and young alike. I don’t think it would be suitable for very oily skin. I adore this brush, it makes application effortless and very quick. Anyone with a chronic illness will find this very easy to use. Much quicker than bouncing the beauty blender on the skin. Deliver the ultimate in hydration-boosting coverage with tarte’s 12-hour water foundation. The concentrated, full coverage fluid formula features 20 percent water to quench dry skin as it covers and masks any redness, dark spots and uneven skin tone, while softening the look of pores and fine lines. The custom dropper applicator delivers your perfect level of moisture-rich coverage in an array of shades to match any skin tone. Powered by tarte’s antioxidant-packed Rainforest of the Sea™ complex and non-chemical SPF 15 sunscreen, the hypoallergenic formula helps restore, brighten and defend skin from free radical damage and early signs of aging for a smooth, soft, radiant complexion. I really adored this foundation, the finish, ease of application where all fab. I will say make sure your skin is well exfoliated if not it will cling to your dry patches. 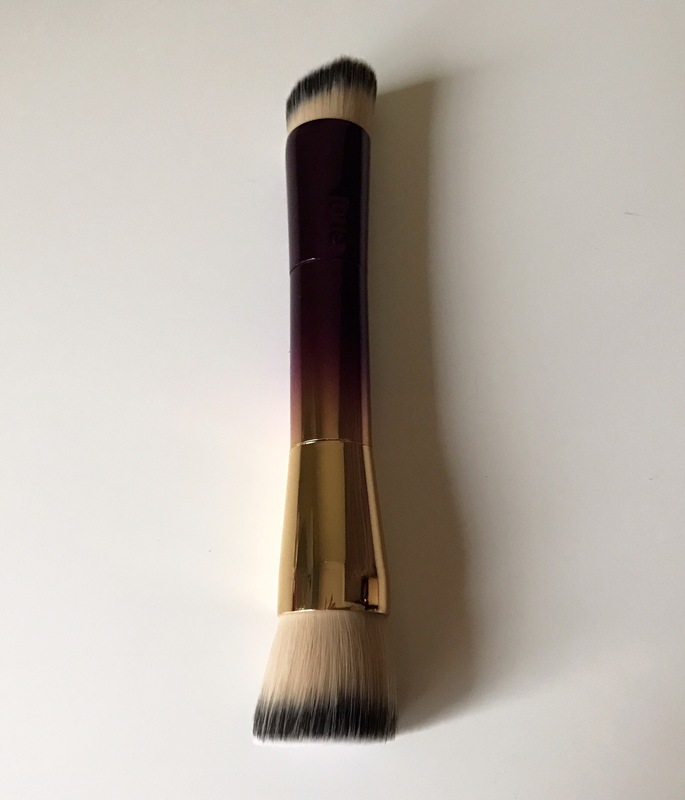 The brush is effortless and I find the foundation works best without a silicone heavy primer. I wanted to try this foundation I heard raving reviews about the concealer so I hope this is just as good. Will be really glad if you could check out my recent blog post. Thank you so much. Hey Wendie, where did you buy this? I use Esteé Lauders foundation for my skin as I have VERY severe atopic eczema and I ❤ it but when my eczema is v bad which is for 1-2 weeks monthly, i cannot wear any makeup at all which i find upsetting. Do you Wendie? Didn’t know QVC did a refund for that. I actually ‘stumbled’ on your blog earlier, as I have you on my Instagram and your Christmas present of the LV bag (which was v nice btw and the Chanel bag) popped up. I saw that you had a blog which i never knew, and you know what, yours is actually VERY good! You don’t just highlight your struggles medically, surgically and whatever, but you highlight things that I am interested in, MakeUp, Fitness, Eating Out, Designer Bags, the lot!! I follow someone on IG, I can’t remember her full IG name but it’s Chocolate something, i will find out for you. She posted a cute pair of trainers from Michael Kors, i think, and they had ‘Bunny Ears’. They weren’t in your face but unusual. You know who I am don’t you? I live in Manchester? I have SOD. I will pm you on IG. I really hope that your as well as you can be. I almost ended up in the Hospital last night straight after Xmas Dinner as i became v ill v quick and due to my addisons illness, is the one of two symptoms that can kill me, so i am going to see how i am today as i still feel rough from it all. I really want to try this! I’ve um’d and ahh’d about it! I really want to try this foundation, and also the Shape Tape concealer. Me neither..😊 I guess it is really good.